I have been asked this question multiple times since diagnosis. I have avoided this at all costs – both answering and asking – for a couple reasons. First of all, Scarlett is not a statistic. I have heard numbers like 90-95% and that toddlers have a better prognosis than infants or adolescents. None of that matters to me because there are still 5-10% of children that don’t survive. Scarlett is not a number. She is not one in a million. She is one of one. She is my only Scarlett. My only Pokey. My baby. She is not a statistic. Secondly, death is not an option. I know that for the first week after diagnosis I was pretty stunned. But a few things stand out in my mind. During our first meeting with the oncologists, Dr. B said “our plan is to cure her”. Their plan. Not their hope or their goal. Their PLAN is to CURE her. Cure. Not put her in remission but to cure. There has never been another outcome in our minds. She will survive. Today we received the preliminary results of her second bone marrow aspirate. 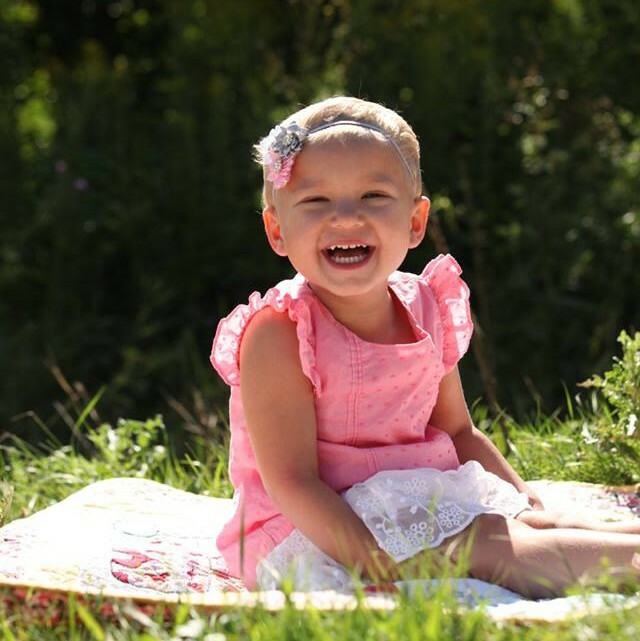 Her tests showed no residual leukemia in her marrow. That is the ZERO that we have been hoping for! On day 14, she is responding to chemo. It has destroyed all of her leukemia cells and she is holding on tightly to her “good” cells. God willing, she will continue on this same path through the rest of induction and be in the “low risk” treatment group for the maintenance phase. That will most likely be less time with chemo, less risk of infection, less disruption of her growth, and less risk of side effects. We have to wait for the final results of the aspirate as well as the genetic tests. We are hoping that they reaffirm the initial results. Those results should be in later this week. We know that so many people have been waiting for the results with us. Our hearts are so full of gratitude to all of you who have shown such a great level of interest and love to our family. We are forever grateful! Thank you all for your prayers. They must be working! TEARS OF JOY! Congrats on this fantastic milestone. What a fighter! !